Old Man Emu suspension components are perfect for those who want ride quality over chat-board hype or a popularity contest. You may find more 'hyped' suspension lifts on the market, but you will never find anything that ride more comfortably, has greater load capacity, or is more durable than Old Man Emu. If you truly are looking for the 'best' suspension and not just the most popular, then you have found the very best suspension on the planet for your Discovery LR3. Pictured coming out of the hole with a Safari Snorkel, also available from Rocky Road. 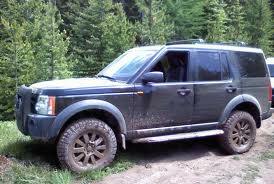 Additionally, we carry the ARB Bull Bar for your Land Rover LR3. Rocky Road will always be committed to bringing you the best products and service. Find out why we are a leader in ARB sales throughout the world and 3rd largest on the planet for Old Man Emu volume. Contact us with your best deal, and we'll try and beat it so you can be confident in dealing with a premier ARB facility! Please call or email us for the Rocky Road Pricing Policy regarding any ARB or OME products or for questions regarding international, Alaska, or Hawaii shipping. For ship estimates on the Bull Bar, please consult the chart to the left. The ship amount shown on your shopping cart will be inaccurate for Bull Bar orders due to the complexity of Truck Freight orders. Use our handy map guide or feel free to call our store. Please note: If you have the air suspension on your LR3 you will need to convert it to standard coil springs using any of the inexpensive and easy to install kits available. Click on the links below to find more information on our excellent high quality parts from ARB for your Land Rover Discovery. Discovery LR3, Old Man Emu 4x4 Shock Absorbers & Suspension Systems. This comment, taken from an internet chat forum and is typical of the benefits enjoyed by customers of Old Man Emu all around the world. 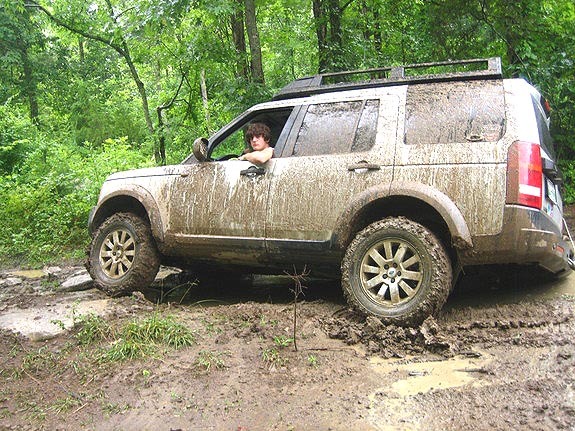 What does all of this mean for your Land Rover LR3 suspension lift kit?